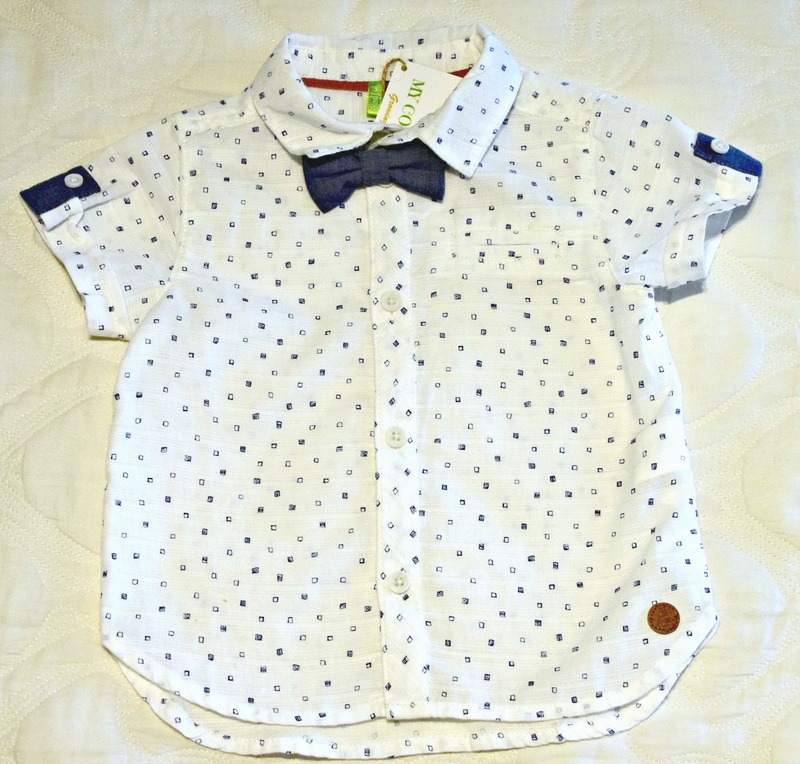 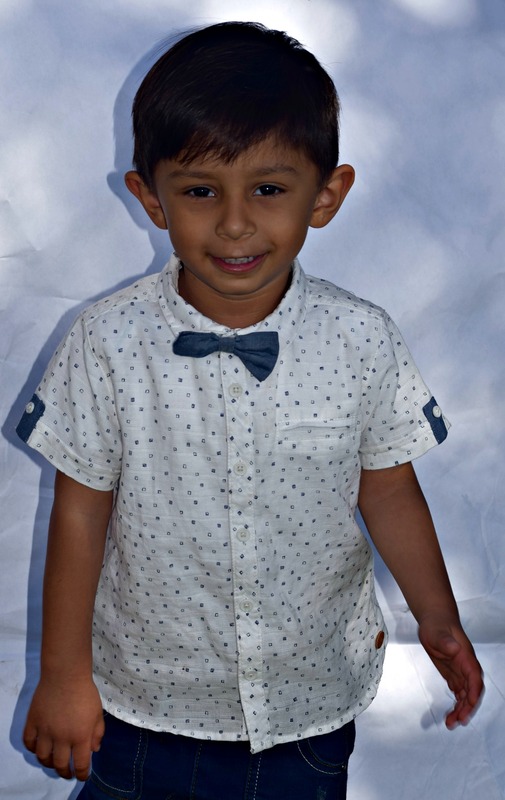 Baby Boys Printed shirt with detachable Bow Tie. 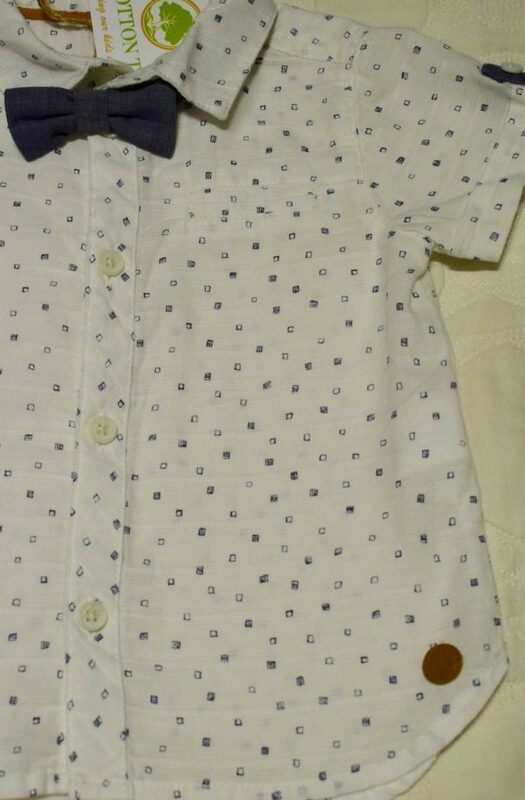 Button down and collar gives it the smart look. 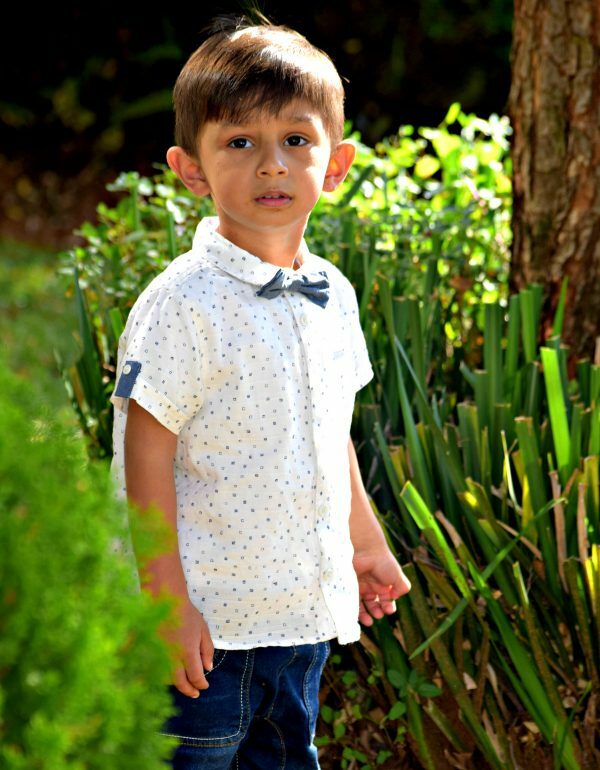 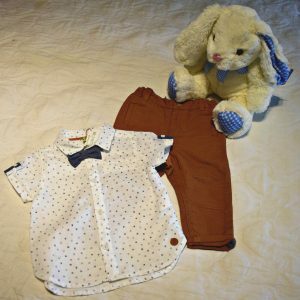 This soft cotton light shirt is perfect for your little one and designed to make him stand out at any occasion. 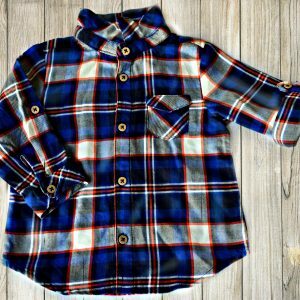 He can be trendy and comfortable all at the same time. The print and bow tie brings out a retro look, and the button down makes it smart. 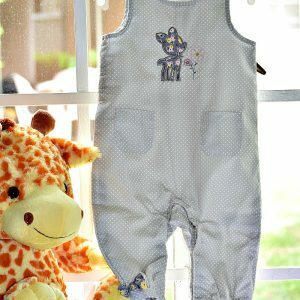 The front left has a slit mock pocket adding extra detail.